People often overlook the importance of an agenda example and how efficient it can actually be. It appears to be daunting and time-consuming to some. But sometimes, just going with the natural flow of events can actually be too risky. It’s good to follow simple guidelines of an agenda in order to get the best outcome. We define a meeting agenda as one that lists topics to be discussed by a particular entity. However, an agenda may also be set for activities and events to carry out in an orderly manner. This may come in handy for visit agenda and ceremony agendas. 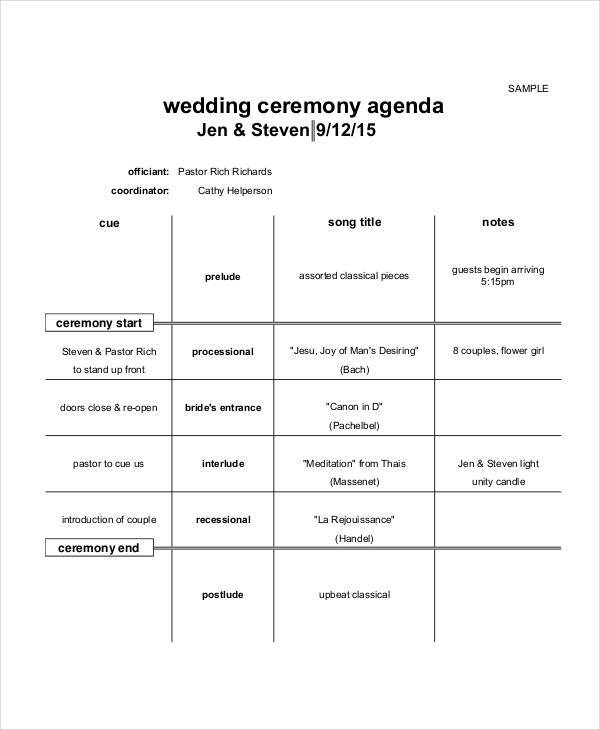 What Is a Ceremony Agenda? 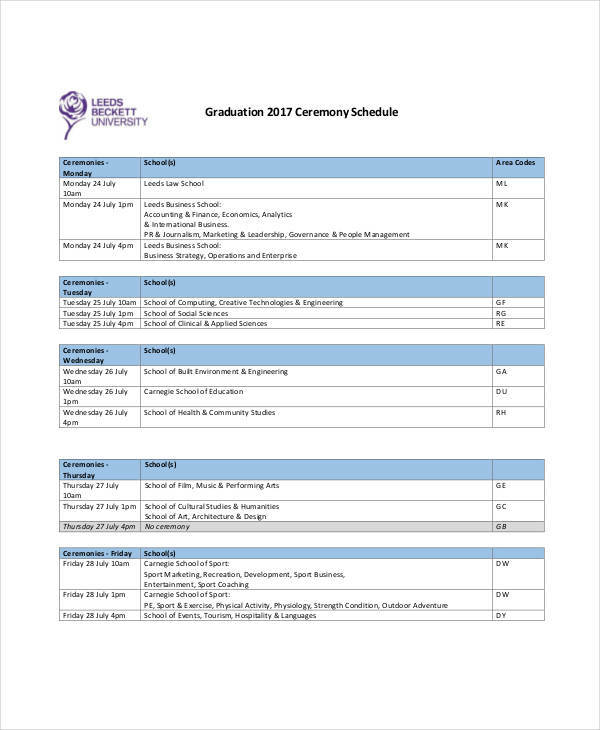 A ceremony agenda refers to a type of agenda that involves an event of formal or religious significance. It includes planned activities that are to be executed at a given time period. As these activities are part of formal ceremonies, they are often set to strict movement and schedules to be followed respectively. 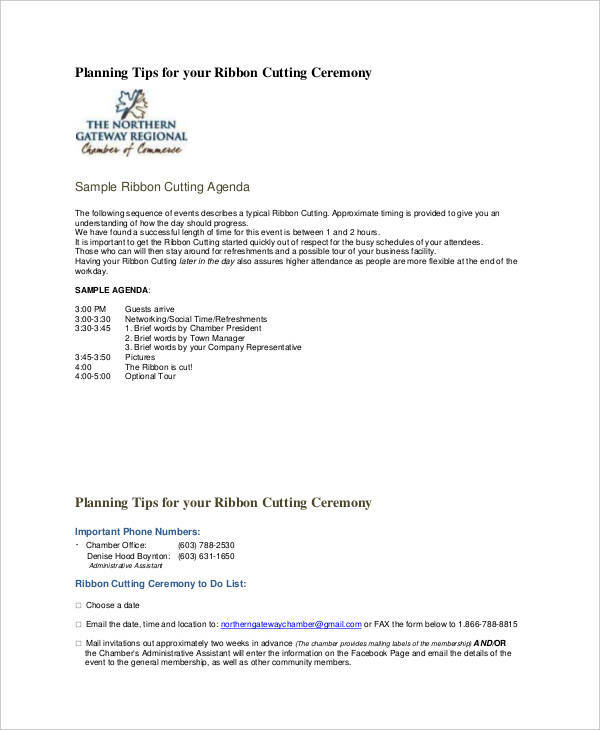 There are various printable agenda examples for ceremonial events that can serve as your guide to understanding this type of agenda. 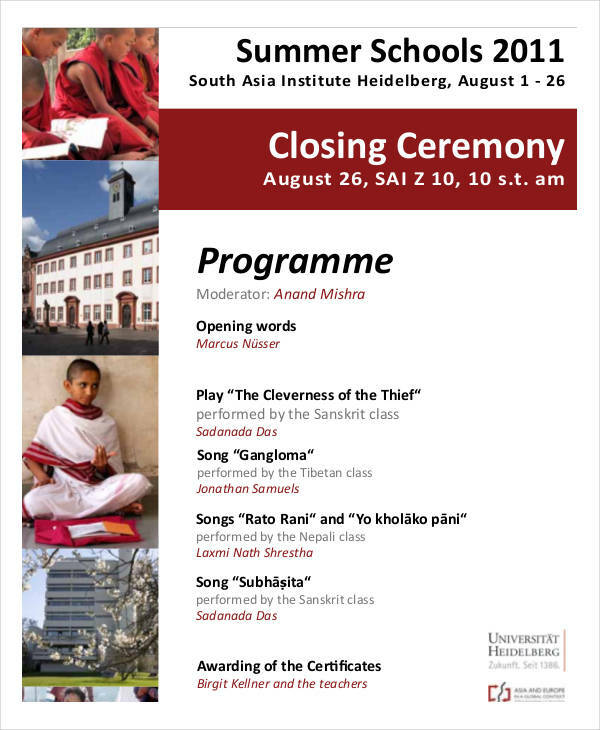 What Is an Opening Ceremony Agenda? Opening ceremonies are often made to be more notable than the rest of the activities of an event. It’s when organizers pull all the strings into making something that will be worth remembering. To do so, they carefully plan it out into free agenda. 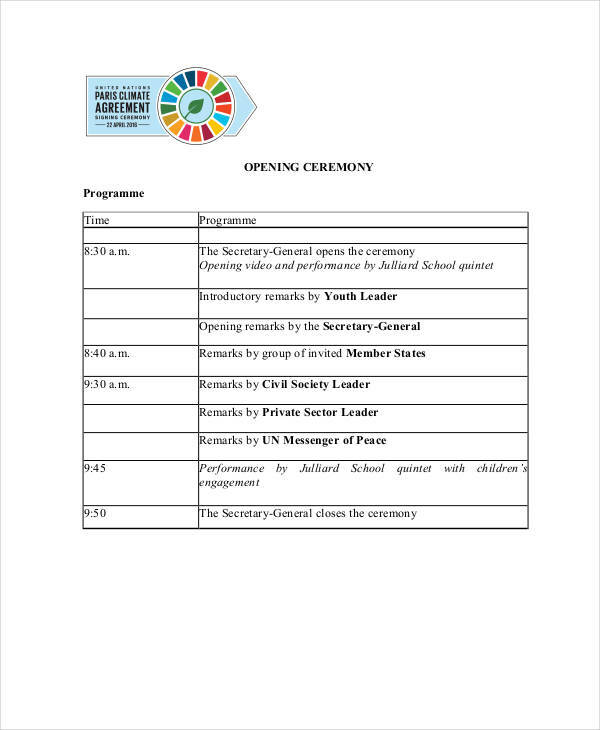 An opening ceremony agenda lists every significant aspect of an opening ceremony. It involves a set time and position for every single detail of the ceremony. The attention that an opening ceremony can bring can be quite intimidating so it’s important that everything falls into place smoothly. In an opening ceremony, timing is pretty much everything. There are various things that you should keep in mind when planning an agenda for a ceremony. One of which, is the importance of time. In any type of ceremony, you’re often paying a good sum for the venue alone. Staying on schedule is an essential factor in carrying out the event. Even when an agenda is set, there’s still room for probable changes brought by various circumstances. You must be able to adjust for a last-minute shift in activities. 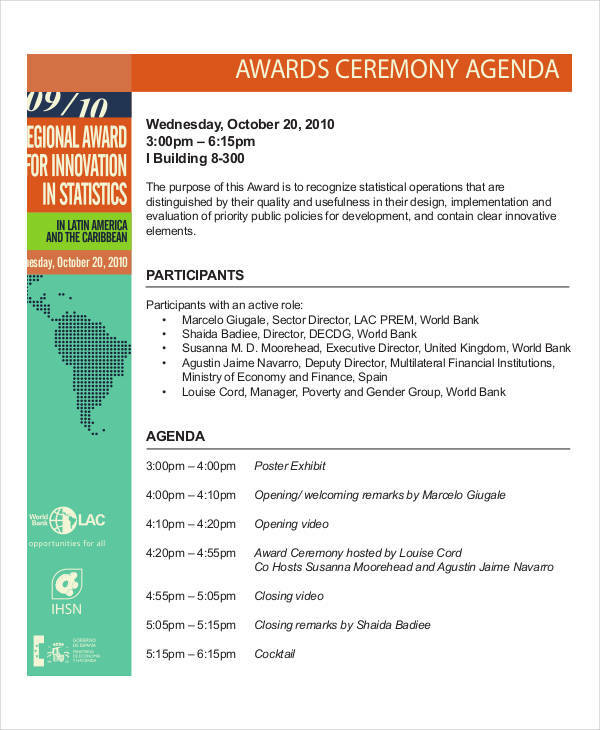 There are free agenda examples in PDF that contain the basic aspects of an agenda. Organize activities accordingly. For instance, a wedding agenda must contain specific details for the bride and the groom. It would be a shame if the bride enters while the groom is busy taking pictures. Set time allowances. Unforeseen circumstances can cause a delay, it’s good to have extra time to sort things through. 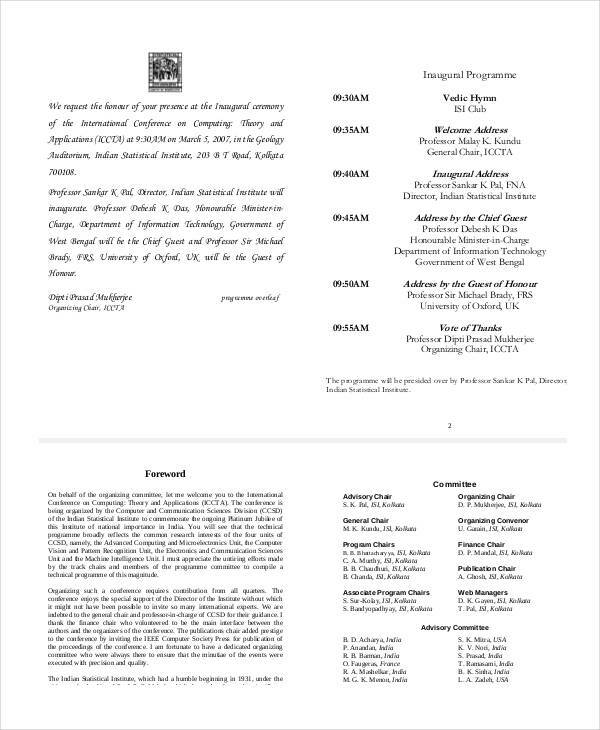 Provide necessary details only. You would want to inform participants, not give away everything that’s in store. Inform beforehand. This is so participants with significant roles would be aware of their cues.